What is Percale Weave And Why Is It The Best Thing That Happened to Your Sheets? Does higher thread count mean higher quality? What does long-staple mean and why does it matter? Percale Sheets – When most people think about high quality sheets, one thing immediately comes to mind: thread count. But thread count isn’t the difference-maker when choosing luxury sheets. So what is? Weave. Simply put, weave is described as the way the threads of material are woven together to create a sheet of fabric. And percale weave, in particular, is known as being one of the best. 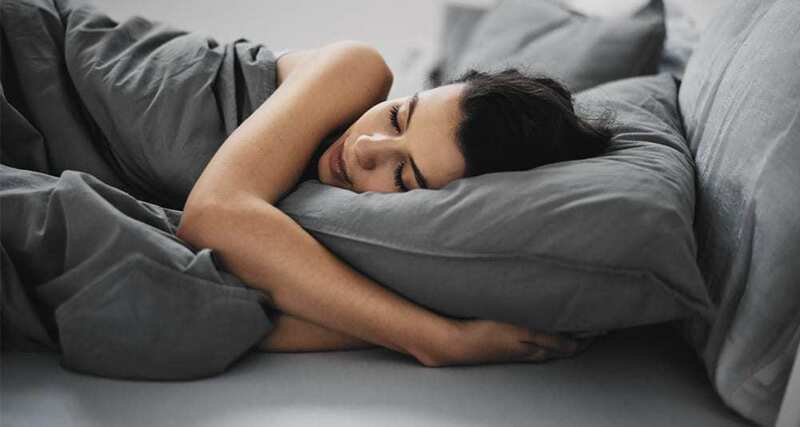 Here, we’ll explain why you’ll want to sleep on percale sheets starting tonight and finally clear up the confusion about thread count. Percale weave is a traditional one-yarn-over, one-yarn-under pattern. It creates a matte finish with a luxurious feel that stands up to everyday use. Here’s why: This type of weave allows air to flow between the threads of cotton, making the material more breathable, durable, and softer than sateen, another popular weave (we’re sure you’ve heard of it). On the other hand, sateen is a one-yarn-over, three-yarn-under weave. This pattern exposes more thread surface, which is what gives sateen its shiny finish and silky feel. But also makes it more susceptible to wear and tear. Since it’s a tighter weave, the result is a heavier, less breathable fabric, compared to percale. And when it comes to regulating body temperature, percale wins again. 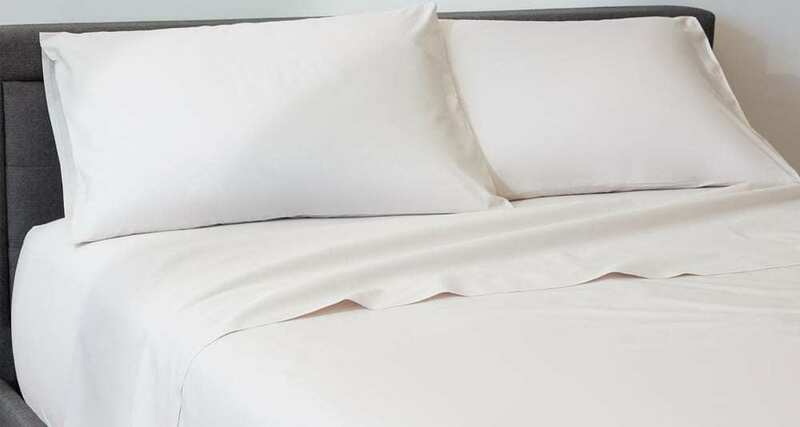 Where the tighter weave of sateen retains body heat, the percale weave encourages air flow, so you can sleep cool. And did we mention that percale softens with every wash? You might actually start looking forward to doing laundry. 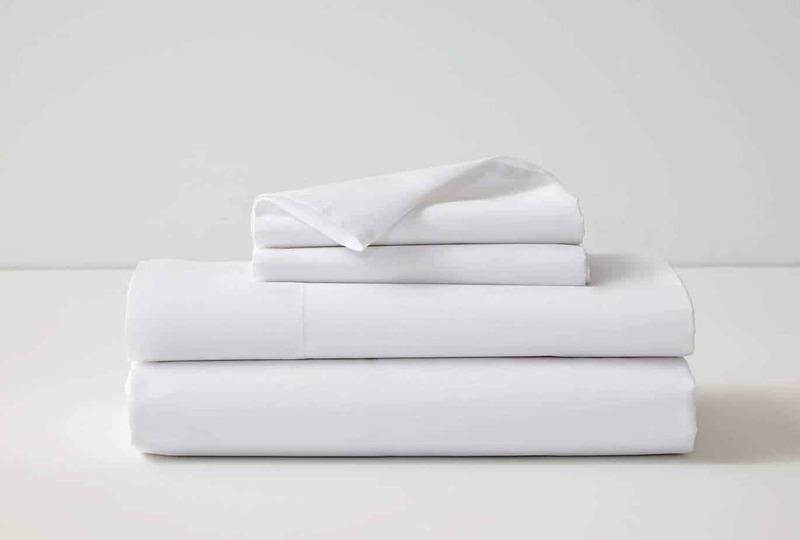 Did we mention that percale softens with every wash? You might actually look forward to doing laundry. The short answer: No. Thread count refers to how many woven threads can fit into one square inch of fabric, and it can range anywhere from 150 to 1,000 depending on the fabric. It’s easy to think that higher thread count automatically means better quality, but this is not the case. The length and quality of threads, as well as the type of weave, are more important than the thread count number. Another thing to consider: Sheets with higher thread count (more than 400) sometimes use shorter yarn and less than ideal weave, making the sheets less durable and breathable. In fact, according to tests done by Consumer Reports the sweet spot for thread count is 280. Our new DreamCloud Sheets are made with 310 thread count and 100 percent long-staple organic percale cotton, making them some of the most luxurious, affordable sheets you can find. What does long-staple mean and why does it matter? Read on to find out. Tests done by Consumer Reports reveal that the sweet spot for thread count is 280. DreamCloud comes in at 310, and boasts long-staple, organic percale cotton. What thread count doesn’t tell you is the length of those threads — that’s what long-staple refers to. Ideally, you want longer threads for a more luxurious feel. Long-staple fibers make for high quality, durable sheets that are stronger and softer, compared to sheets made with short-staple fibers. They also pill and fray less, so it’s always better to go with longer threads and higher quality weaves, than higher thread count. What does this mean for DreamCloud sheets? It means you have a winning trifecta for sleeping in luxury: 100 percent organic cotton, long-staple fibers, and percale weave. The only thing left? A luxurious mattress. We’ve got you covered there, too. Organic luxury percale bedding for premium comfort.